CLIENT: Verizon Wireless & Warner Bros. The Mind Crime Prevention app gave Christopher Nolan fans access to exclusive behind the scenes footage and interviews that were filmed specifically for the mobile app. 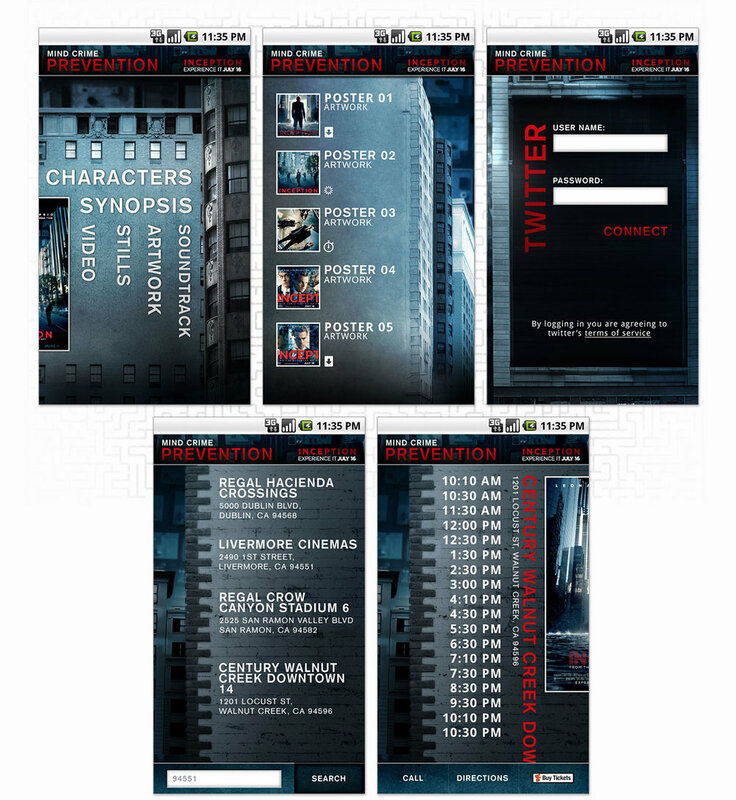 To tie in with the mind bending story and visuals of the movie, portions of the UI were turned at at different angles. I also straying from the popular list and glossy button conventions of the time and went with large text links instead. The text links on the home screen were at a 14º angle which caused some issues for development. It took some creative thinking and a lot of rapid prototyping but after working closely with the lead developer, we were able to come up with a solution not only worked but worked as expected.